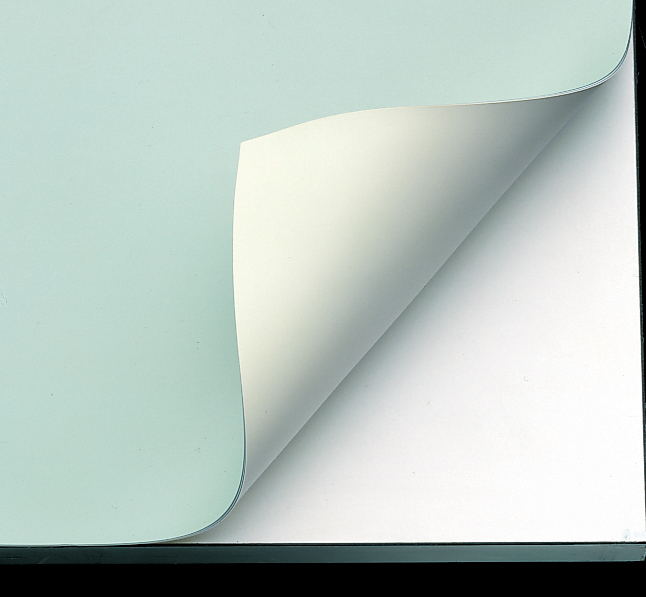 VYCO Green/Cream Board Cover 37 1/2" x 72". Durable, versatile, easy-to-install, 5-ply vinyl cover manufactured specifically for protection of heavily used surfaces. The perfect, smooth, stain-resistant working surface for all drawing boards, tables, desks, filing cabinets, counter tops, and shelving. Compass points, tacks, and hard pencil impressions will not mar VYCO-protected surfaces as self-sealing surface recovers almost immediately. Preserves and protects expensive furniture against mars, scars, cuts, dents, and prolongs the life of new boards. Will not deteriorate, discolor, or crack. Cuts to size easily with ordinary scissors. 7 lbs. Notify me of updates to VYCO Green/Cream Board Cover 37 1/2" x 72"